We know: coffee isn’t the main reason why you come to the library. You come for the engaging books, or the great first-run movies, or the fun events for you and your kids—there are lots of reasons to come to your library. But isn’t it nice that half-price coffee gives you one more reason to stop by? 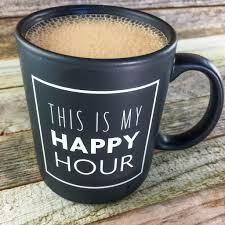 On Friday afternoons, we’ll have the Keurig coffee maker running and ready to make you a cup of brew or hot chocolate for the bargain price of fifty cents. Grab a cup and settle in to our reading lounge to catch up on the latest issue of your favorite magazine, or browse the shelves for a movie or book to keep you entertained this weekend. Maybe by itself, a cup of fresh coffee isn’t enough reason to come to the library. But when you look at all the other great reasons there are to stop in, one more can’t hurt, can it?